– I wish I had such a personality. Red Bull: What impression of Nemo as a player do you have? Gachikun: He knows well the strength of the character he uses. He strongly focuses on attacks that he's going to eventually win if he make it in beating with. Compared to other players, that's very distinctive. Red Bull: What is his way specifically? Gachikun: His character in SFV is Urien, who is likely to win if he make it in V-Trigger even on the backfoot. Nemo-san is good at striking the opponent cautious about Nemo-san's VT and changing his or her behavior, and he makes it at very high rate. He's kind of greedy for winnings, and he knows a lot of ways to win. Those are what I've felt strongly since he used Rolento in USFIV. Red Bull: What do you feel about his play style of Relento in USFIV? Gachikun: He played and plays aggressively, and I love it the most. Even though he aggressively tries to make momentum in favor of him, he also controls the opponent solidly. So, it's interesting a lot to watch Nemo-san's matches. Fantastic. Red Bull: You mean it's interesting because he doesn't just only steamroll with the character's strength although he's aggressive. Gachikun: Nemo-san can choose options that other players can't choose in particular situations. Gachikun: Right. No one can emulate him. Even if you can, I bet you can never do it in every match. There are a lot of Nemo-san's fans in Hiroshima as well haha. Some players started using Rolento under the influence of Nemo-san. Red Bull: The reason why you love Nemo's play the most is that your play style is similar to his? Gachikun: No, it's the other way around. I can't play in an aggresive way, so it looks cool to me. Red Bull: Tokido analyzed it and said Nemo's personality makes him play aggressively. Gachikun: Well, games reflect your personalities. I'm, too, sometimes told my play style reflects my personality. Red Bull: What kinds of things do they say about your personality? Gachikun: They tell I'm too gentle, or too honest haha. Maybe because I'm wary even when I can be more aggressive. Red Bull: I see. What do you feel about Nemo's personality? Gachikun: I'm jealous of him. I wish I could fight in such an aggressive way. I wish I had such a personality. Red Bull: Tokido described Nemo's personality as "super sadistic." Gachikun: When I'm under Nemo-san's pressure, I almost give up, like "no way." When he teases someone kidding, he says straight lines not in a low voice, but in a loud voice, and I think "he's super sadistic" lol. 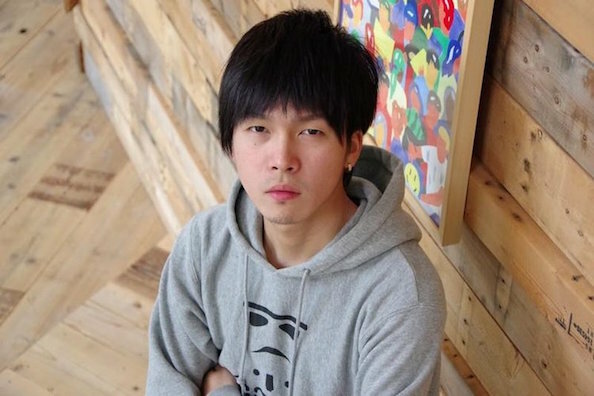 Red Bull: Nemo said in an interview "although I've play Gachikun only in SFIV and SFV, I think I've mostly won." Do you have a feeling of having trouble with Nemo as a player? Gachikun: Yes, exactly haha. I probably lost every time. I can't help but be freaked out by his name before a match. Like, "let me resign." Red Bull: Tokido likened to Nemo's play style to King's. What would you liken the other three players to? Gachikun: I have the impression Tokido-san is like a secretary. Red Bull: Do you mean he's intelligent? Gachikun: It's like he knows everything including about the king as well as the other things. Red Bull: So, what about Bonchan and Daigo? Gachikun: Bonchan is a boss managing his subordinates. He's a president, having a sharpe mouth, but many people adomire him. Ume-san is like an ascetic monk. Red Bull: Ok lol. Do you know any unkown aspect of such a king? Gachikun: Nemo-san eats quite a lot. When I went to a restaurant with Nemo-san, he ordered surprisingly a lot and finished all. Gachikun is hewing his way with his honest style, not depending on steamrolling. Through his clear eyes, the first-line successful top players' real faces emerged.